Not knowing what it was, or its significance, 10 year old Jeffrey put his treasure in a Salvital tin along with other treasure he had collected. Jeffrey grew, married and with his wife moved around significantly throughout life. He was the maintenance manager at the Port Augusta power station at one time before moving to the Torrens Island power station in Adelaide and then even to the USA for several years! All this time taking the medal without a thought! He and his wife finally settled in Brisbane in 1998. The medal has done a lot of travelling! Recently whilst cleaning out his shed Jeffrey came across the old, forgotten Salvital tin and remembered the medal immediately and started the quest to find its rightful owner. 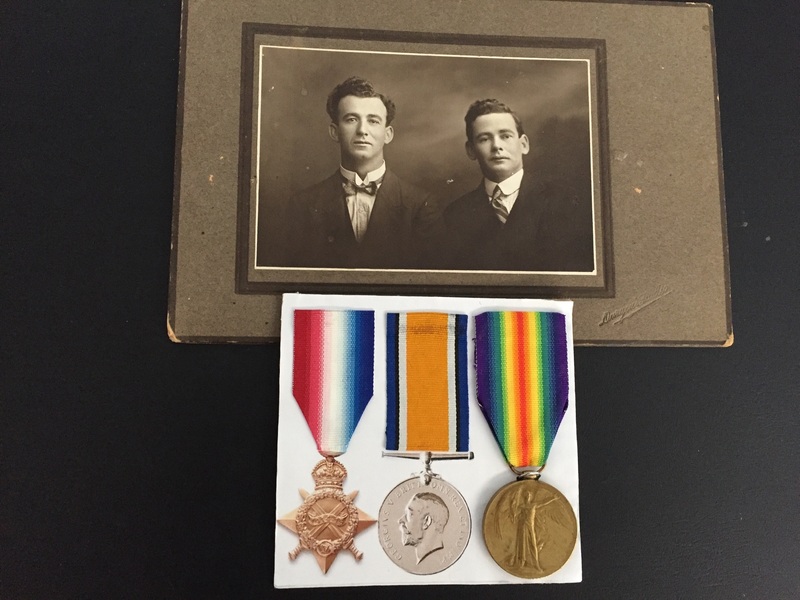 With the help of his neighbour, Tony West, who is involved in the RSL, the two set about researching the medal and its owner. We were proud and excited to hear the news that the medals belong here with us in our Port Pirie office! Private Robert Elliot Blight, Land Agent, from Port Pirie, with green eyes and a fresh complexion, enlisted in January 1916. He served in the 43 Infantry Battalion in World War 1. Robert was the younger brother of Fred Blight. who started Blights Real Estate with Bob joining him soon after. We believe Bob moved on from the business not long after the end of WW1. The third brother, Bill joined the business a couple of years later and stayed for 60 years! Jeffrey has returned the medals to our Port Pirie office and we plan to have them framed and displayed with pride in our office. We truly thank Jeffrey and Tony for all of their efforts, especially to Jeffrey for keeping them safe for 62 years!